London's oldest theatre is also its most spectacular, with a palatial auditorium that is among the most impressive in the world. The first theatre on this site was built in 1662 on the orders of Charles II. It has been rebuilt a number of times since then, but the current auditorium incorporates many elements from as long ago as 1820. As a result, this vision in cream and gold possesses an elegance unmatched in the West End. 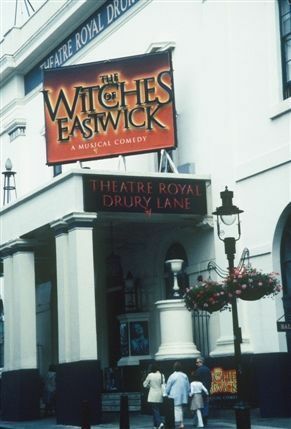 Its broad staircases, its chandeliered salon, its statuary and panels speak of an older, more glamorous theatrical age. The performance history here is the history of popular theatre in Britain. From Nell Gwynne's debut, when Charles II fell in love with the 15-year-old actress, through the great Colley Cibber, to a three decade stint by David Garrick, London's greatest stars have appeared beneath the Theatre Royal's gorgeously decorated arch. Noel Coward's Cavalcade (1931), with a 250-strong chorus, brought audiences to their feet every night, before Ivor Novello took the theatre up to the Second World War with a series of shows which he scored, wrote and starred in. After the war, the Theatre Royal blazed a trail into the modern world of long-running musicals, with a series of hits including Oklahoma, South Pacific, 42nd Street and Miss Saigon, which ran for 4,236 performances.